12 O'Clock Track: Upholstery & Carpet Cleaning, "Slow Cloud"
Filtering PR e-mails is an art I can't say I've entirely mastered, and I bet I've deleted news of some really great music along with all those messages about, say, the Sixpence None the Richer reunion. (Yes, that band.) But when I get an e-mail with the subject line "A Definite 21st Century Shot Into Darkness," I make sure to stop, read it, and give a listen. 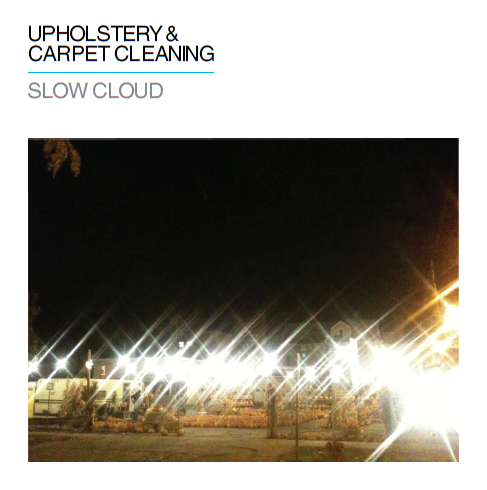 In the case of Upholstery & Carpet Cleaning, whose sole member, Matthew McGarry, sent me the e-mail in question, I'm glad I did—it led me to today's 12 O'Clock Track, "Slow Cloud." A plaintive, slow-burning number, it sounds like it's been lifted from a scene in a western—I imagine an odd couple of rustlers bonding just before the ranch they work on goes up for auction, forcing them to engage in some sort of cowboy triathlon to restore order to their world. Or something. 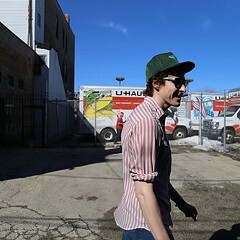 "Slow Cloud" is the title track from Upholstery & Carpet Cleaning's debut, which McGarry released on his label, Old Lane Sign Records, last month. McGarry says he hopes to put together a full band to tour on Slow Cloud. Until then, take a listen to the album on his Bandcamp page.